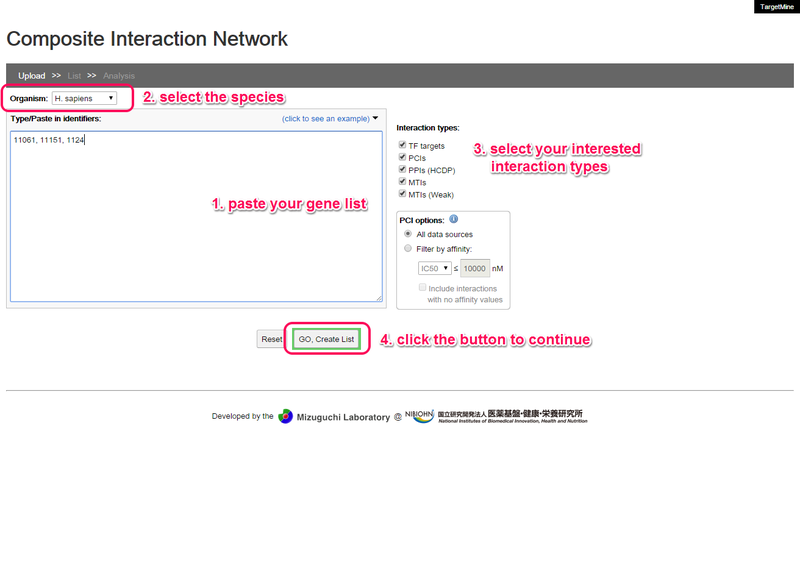 Upload a list of gene by pasting into the text area and then click the button to upload. 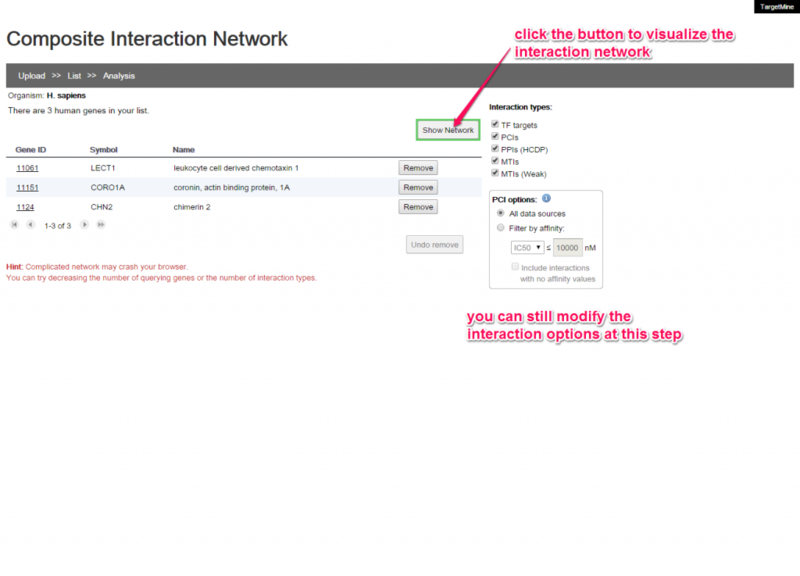 You can remove undesired genes or adjust the interaction visualizing options here. 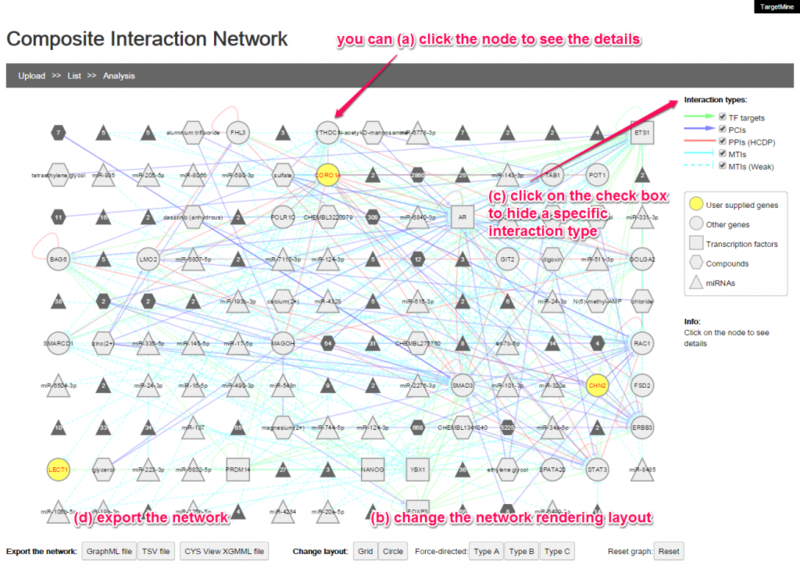 If every thing is fine, click the button to visualize the composite network. The default layout is grid. You can select different layout using the buttons at bottom of the graph. Here is an example of force-directed layout, type C.
If you want to remove genes or re-select the visualizing options, you can click the link “List” to go back. To avoid the prolonged response times and potential crashing of the system, network views in TargetMine are restricted to 500 nodes inclusive of the user-supplied genes and their interacting partners. 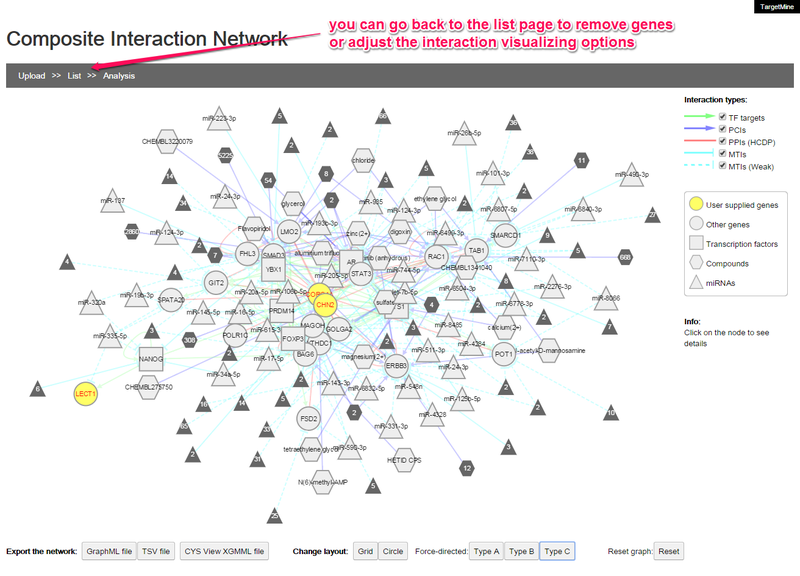 If the number of the nodes exceeds 500, the users are advised to either try and minimize the number of your query genes and/or the interacting types, or alternatively, the users can export the network in “GraphML” or “TSV” formats that can be readily imported into the standalone network visualization tools such as Cytoscape.